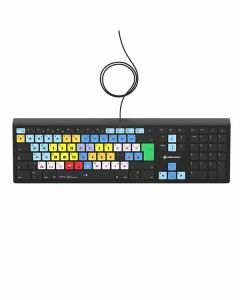 A few months back Editors Keys had a dream of creating the most advanced editing keyboard for Avid Media Composer, so they put thier heads together and worked with thousands of editors just like you from around the world, to come up with the ultimate backlit editing keyboard. Now for the first time you can edit faster, reduce eye strain with the world's first and only backlit editing keyboard for Avid Media Composer. Say hello to the world's first backlit editing keyboard for Avid Media Composer. The keyboards are designed to help you edit faster than ever before. No more looking through PDF's to find the shortcuts for Avid Media Composer. Now you'll have them to hand.